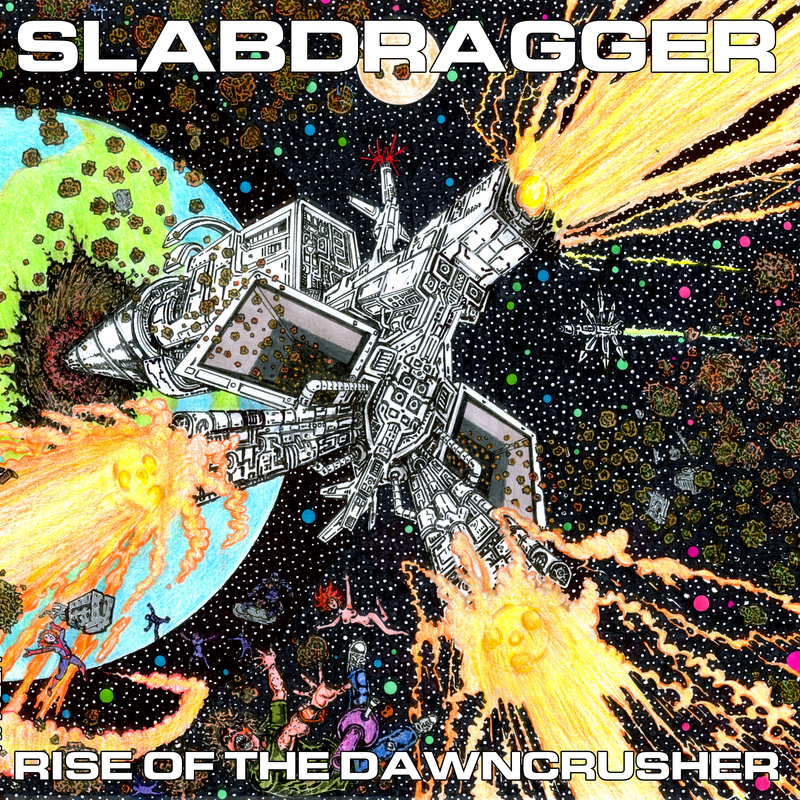 Three years in the making and almost five years on from their debut album ‘Regress’, Slabdragger are finally back with ‘Rise of the Dawncrusher’. Between drummer changes, recording difficulties, collapsed lungs and other personal problems, this is a record that has (slowly) come kicking and screaming into existence. Has it been worth the wait? 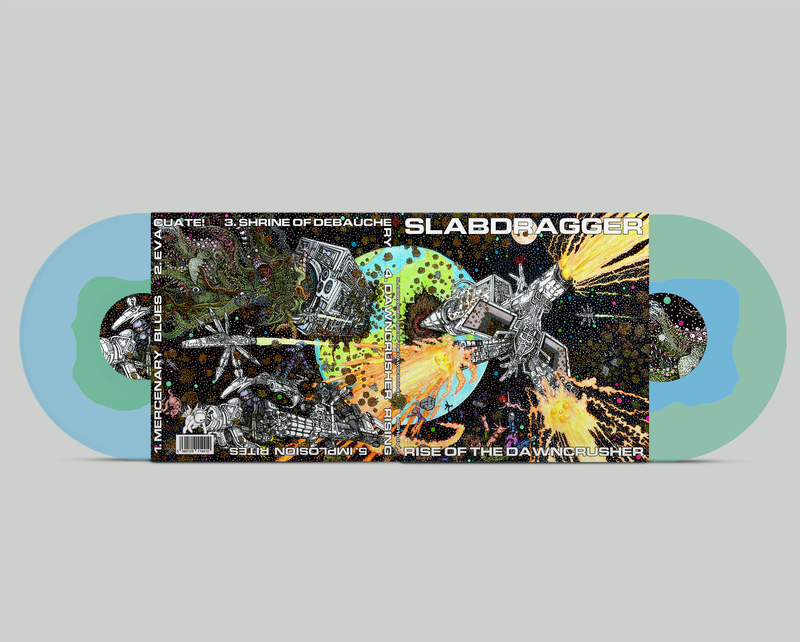 Well – when have Slabdragger ever let you down? Containing four sprawling, epic tracks of ever-innovative, cosmic doom/stoner/sludge, as well as the urgent, frantic 4-minute ‘Evacuate!’ - this record clocks in at over an hour and truly feels like the journey it portrays. 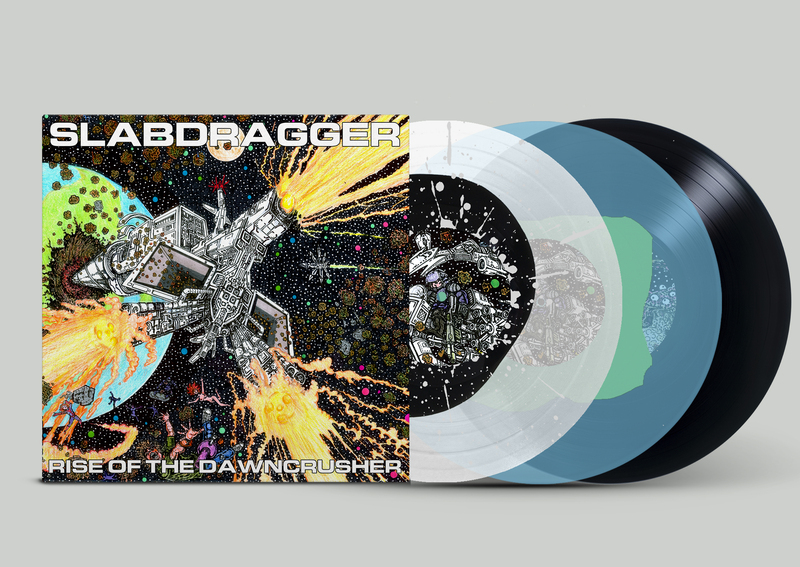 Rise of the Dawncrusher is a sci-fi adventure set in the distant future and you should expect more than a few elaborate twists and turns that will leave Regress behind with space debris in its wake. 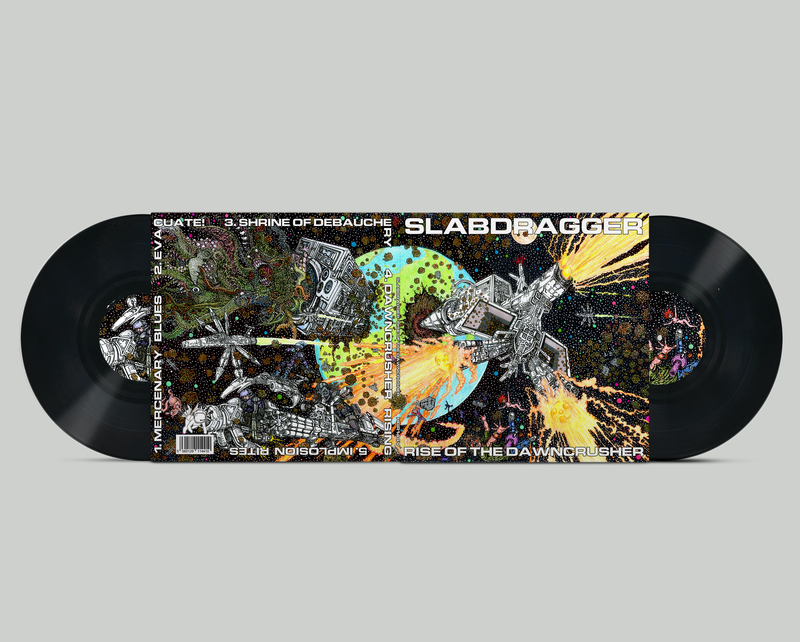 Recorded and mixed at The Cro's Nest Studio by their very own six string strangler and gravelly growler Sam Thredder, mastered by the total dude that is Steve Austin of Today Is The Day, the album will be wrapped in some incredibly epic cover art by comic artist and writer Jimmy Pearson. This combination makes for a total immersive experience in fantastical heaviosity. 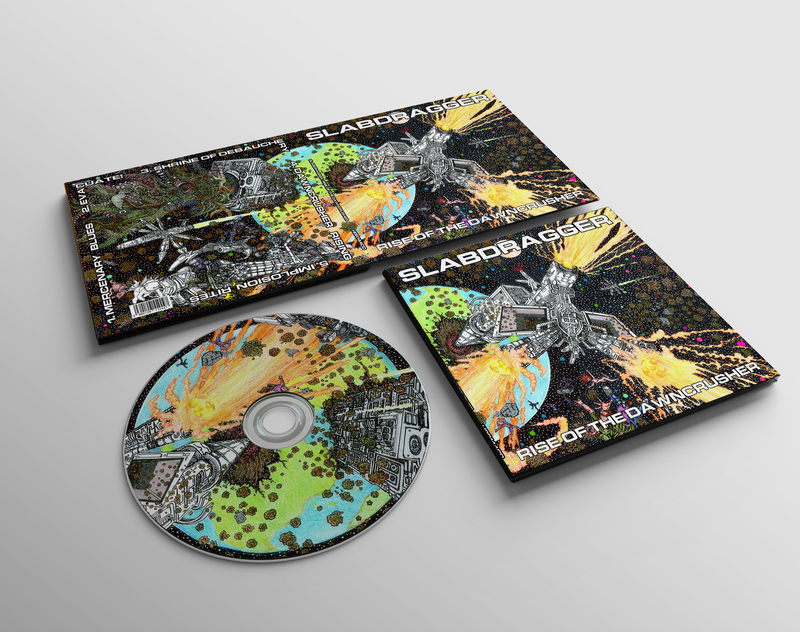 Available on digipak CD and Double LP in a 425gsm white/brown gatefold thick card sleeve. Black paper inners. 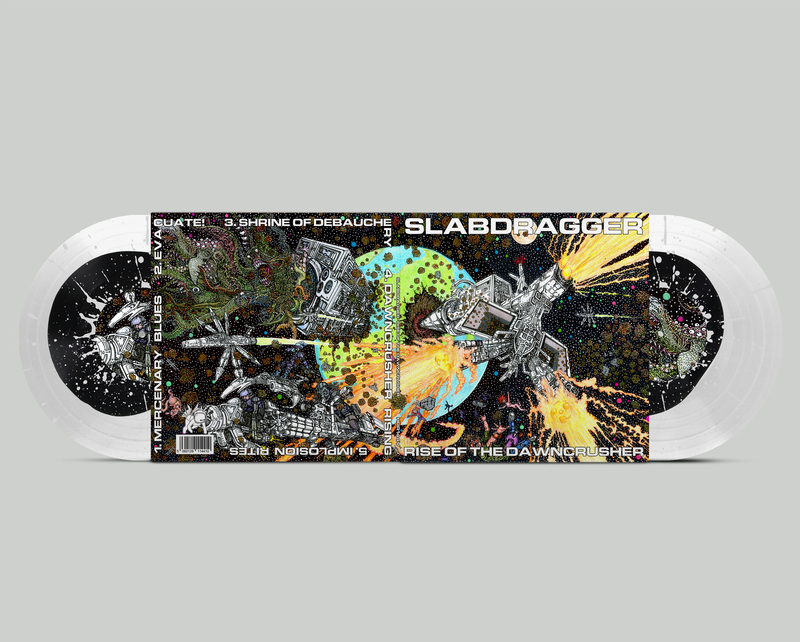 2 limited colour vinyl variants are available as well as classic black - ultra clear/black with heavy silver splatter and 'earth in water/water in earth' translucent blue/solid green, translucent green/solid blue.